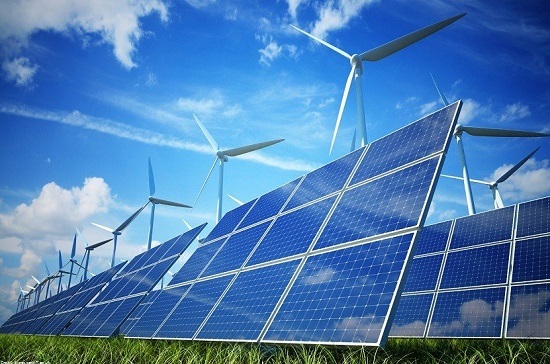 The scale-up of renewable energy and electrification of the global transport and heavy industries sectors could result in renewables meeting 86% of the world’s power demand by 2050, according to new research from the International Renewable Energy Agency (IRENA). The IRENA report, titled Global Energy Transformation: A Roadmap to 2050, states that the widespread adoption of clean power to electrify carbon-intense sectors could deliver more than three quarters of the energy-related emission reductions needed to meet global climate goals by mid-century. IRENA based this finding on its ‘Remap Case’ scenario, which would require all stakeholders in the global energy system to meet the requirements of the Paris Agreement’s 2C trajectory as soon as possible, through the adoption of renewable energy to replace high carbon sources. In this scenario, IRENA claims that renewables’ overall share of the energy mix would grow six times faster than current rates, meaning annual global energy-related CO2 emissions would peak in 2020 and decrease by 90% by 2050. This was compared to the ‘Reference Case’, which demonstrated how current and planned national and international policies, targets and Nationally Determined Contributions (NDCs), are likely to result in CO2 emissions from energy remaining at the same level as they are today by 2050. IRENA warned that this scenario risks global temperatures warming to 2.6C or higher by mid-century, which could have a catastrophic impact on the environment causing water scarcity, extreme weather and severe droughts.